Mr. N. Muruganandam is a 1991 batch IAS Officer who has held many key positions in various departments in the Government of Tamil Nadu and Government of India. Presently, Mr N Muruganandam is the Principal Secretary, Industries Department. During his career spanning more than 25 years, he has held key positions of Collector, Coimbatore, Karur and Chennai, Managing Director of Poompuhar Shipping Corporation. He has worked in Government of India as Joint Secretary looking after Ports, Joint Secretary in Rural Development. He was also the Project Director of World Bank-funded poverty alleviation programme Pudhu Vaazhvu. He was the Principal Resident Commissioner of Tamil Nadu House at New Delhi before taking up the current assignment. Mr N N Tata joined the Board of Directors of the Company on 7th August, 2003. He oversaw the growth of Westside and other Trent formats from one-store operation in 1998 to over a hundred stores in 2012. He took over as the Managing Director of Tata International Limited in August 2010 which is a global trading and distribution company with presence in leather products, metals trading, minerals trading and agri trading and employing over 10,000 personnel spanning 39 countries across Africa, Asia, Europe, Latin America and Middle East. Mr. Bhaskar Bhat assumed the position of Managing Director of Titan Company Limited on 1st April, 2002. He is a B.Tech (Mechanical Engineering) degree holder of IIT - Madras and a Post Graduate Diploma holder in Management from IIM – Ahmedabad, India. Since 1983 he has been associated with the Tata Watch Project, now Titan Company Ltd. At Titan, Mr. Bhat dealt with Sales & Marketing, HR, International Business and various general managerial assignments. Mr. Bhat is a member of the Governing Council at the T.A. Pai Management Institute, Manipal and the SDM Institute of Management and Development, Mysore. He was awarded the Distinguished Alumnus Award of IIT Madras in 2008. Mr. Harish Bhat joined the Board of Directors of the Company on 20th April, 2015. He has been with the Tata Group since 1987 and has completed over 30 years of service with the Group. He has a Post Graduate Diploma in Management (PGDM) from the Indian Institute of Management, Ahmedabad and also a B.E. (Hons.) degree in Electrical and Electronics from Birla Institute of Technology and Science, Pilani. Mr. Ramesh Chand Meena, IAS has held critical and important positions in the Government of Tamil Nadu. He has experience of over two and a half decades in the public administration and is the Chairman and MD of Tamil Nadu Industrial Development Corporation Limited. Mr Arun Roy is a 2003 batch IAS officer who has held many key positions in various departments in the Government of Tamil Nadu. Presently, Mr. Arun Roy is the Additional Secretary to Government of Tamil Nadu, Industries Department. Earlier, Mr. Arun Roy served as the State Commissioner for the Differently Abled and Deputy Secretary to Government Finance Department, Managing Director, Chennai Metropolitan Water Supply and Sewerage Board and Registrar, Tamilnadu National Law School. He is also on the Board of several other investee Companies of Tamil Nadu Government. Mr. T K Balaji joined the Board of Directors of the Company on 1st March, 1986. Mr. Balaji is a graduate in Mechanical Engineering and an alumnus of IIM, Ahmedabad and is presently the Chairman of Lucas TVS Limited. Mr. Balaji is the Past President of ACMA and had served as a Member of National Council of the CII for a number of years. He was a Member of the Development Council for Automobiles & Allied Industries, Government of India. Mrs. Hema Ravichandar joined the Board of Directors of the Company on 30th March, 2009. Mrs. Ravichandar is an alumnus of the Indian Institute of Management, Ahmedabad and a Strategic HR Advisor with over 30 years of industry experience advising several Indian and multinational corporations and is on the Board of several companies. Mrs. Ravichandar until 2005 was the Senior Vice-President and Global Head of Human Resources for Infosys Technologies Limited. 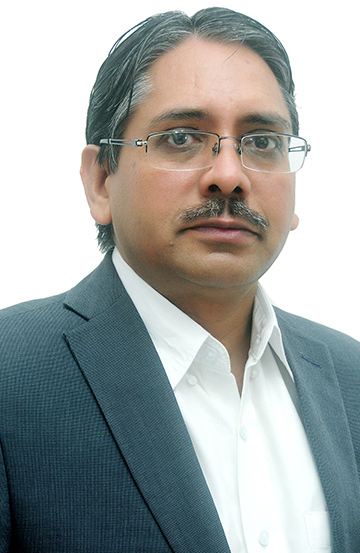 Mr. Ashwani Puri joined the Board of Directors of the Company on 6th May, 2016. He has extensive experience in investment / acquisition advisory services, valuations and decision analysis, business and financial restructuring, dispute analysis and forensics. Mr. Puri has served on various committees of the Banking Division/Ministry of Finance, Ministry of Corporate Affairs and INSOL International and also served as a member of PWC’s Global Advisory Leadership Team. Mr. Puri is currently the Managing Partner of Veritas Advisors LLP, which provides strategy, governance and financial advisory services. Mr. B Santhanam joined the Board of Directors of the Company on 10th May 2018. 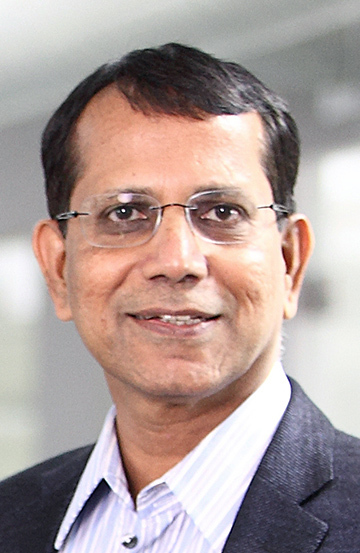 Mr. Santhanam is the founder Managing Director of Saint-Gobain Glass India and has handled critical functions of Information Technology, Operations, Product Development, Sales and Marketing at Grindwell Norton (Saint-Gobain Group Company). Mr. Pradyumna Vyas joined the Board of Directors of the Company on 25th Match 2019. He acquired a Masters in Industrial Design from the Indian Institute of Technology, Bombay. In June 2010, Vyas was conferred with an Honorary Master of Arts Degree from the University for the Creative Arts in Farnham, United Kingdom in recognition of his contributions to design education and design promotion. Vyas has more than 33 years of professional and teaching experience in different spheres of design. Since the last 27 years, he has been associated with the National Institute of Design (NID) as a faculty in the Industrial Design discipline. In April 2009, he was appointed as the Director of the National Institute of Design.